But then, there was a scuffling of paws in the room as Joel's dog, Barrett, came walking in. Barrett cautiously approached the bed. He gently put his paw on Joel's knee and looked up at him. Joel looked down into Barrett's eyes. He sensed a deep understanding from his dog. Barrett was comforting Joel in his darkest hour. Barrett understood. He seemed to be saying, It's okay. I've been there myself. We can get through this. Joel put the bottle down. That night, Barrett saved Joel's life. 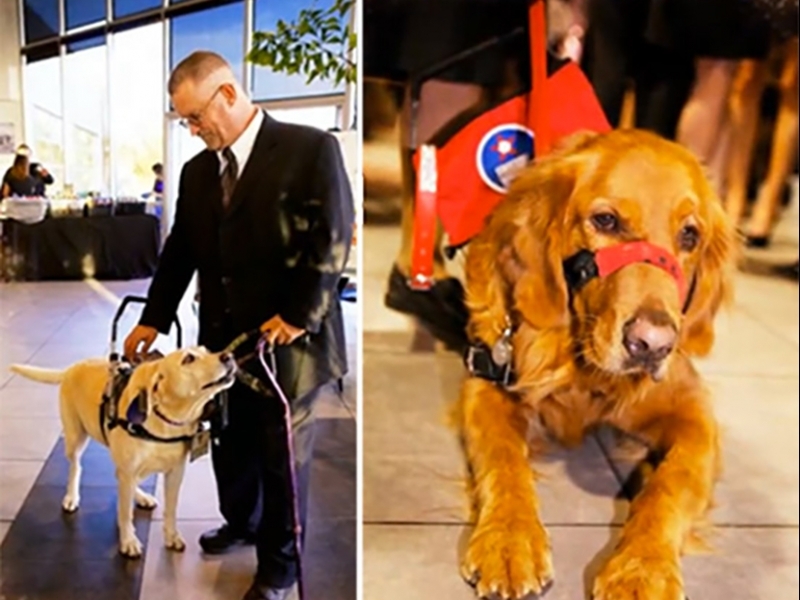 Freedom Service Dogs (FSD) is a non-profit that was founded 26 years ago in Englewood, CO. Their mission is unique. 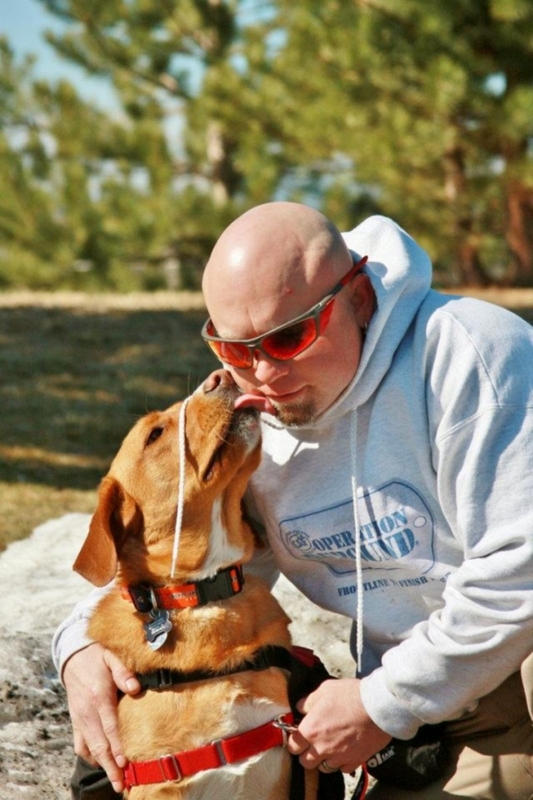 Instead of training dogs that are bred to become service dogs, they train rescue dogs. Their clients include children, veterans, active duty soldiers, and other adults. Their clients generally have disabilities that range from Autism, Traumatic Brain Injury (TBI), Cerebral Palsy, spinal cord injuries, Muscular Dystrophy, Multiple Sclerosis, and Post Traumatic Stress Disorder (PTSD).The service dogs they provide to clients are completely free of charge. Once a potential rescue dog is identified, FSD gives the dog a temperament test. "This is an evaluation to identify dogs with the aptitude to work. They must like people and be interested in working," Karen Morrow, Director of Marketing for FSD, explains. "We see how they respond to being touched and outside stimulus. Also, their behavior around other dogs, food, and treats is taken into consideration." Should a dog pass the test, he is then rescued if the trainer believes he will be a good service dog. 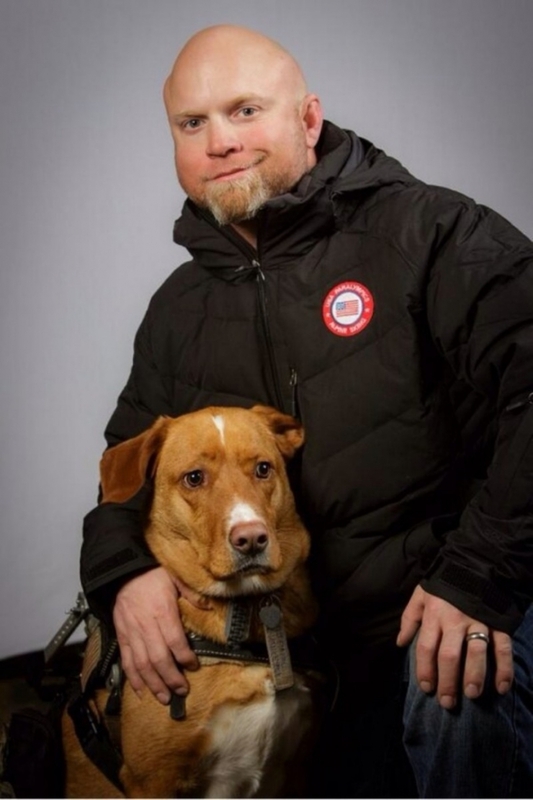 Joel experienced a traumatic brain injury during his military service. He suffers from double vision and paralysis on his left leg due to wounds sustained during his tours. 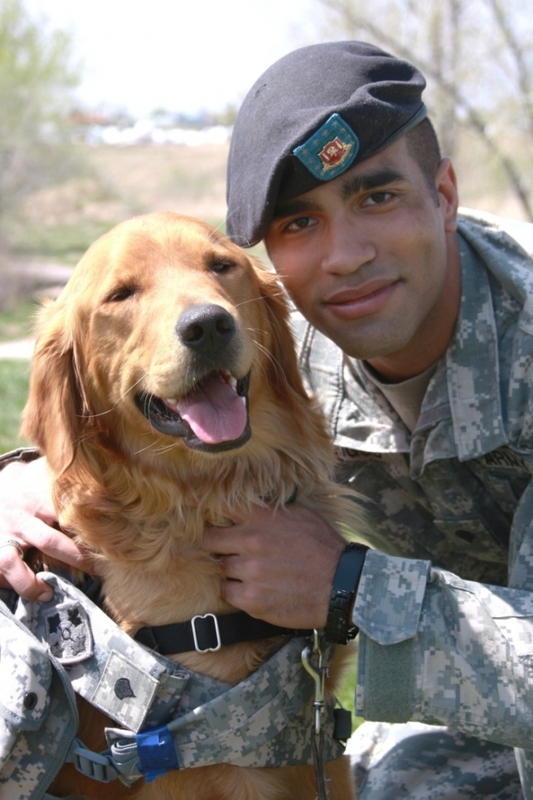 After he returned to the States, he was familiar with Freedom Service Dogs and did some volunteer work with them. 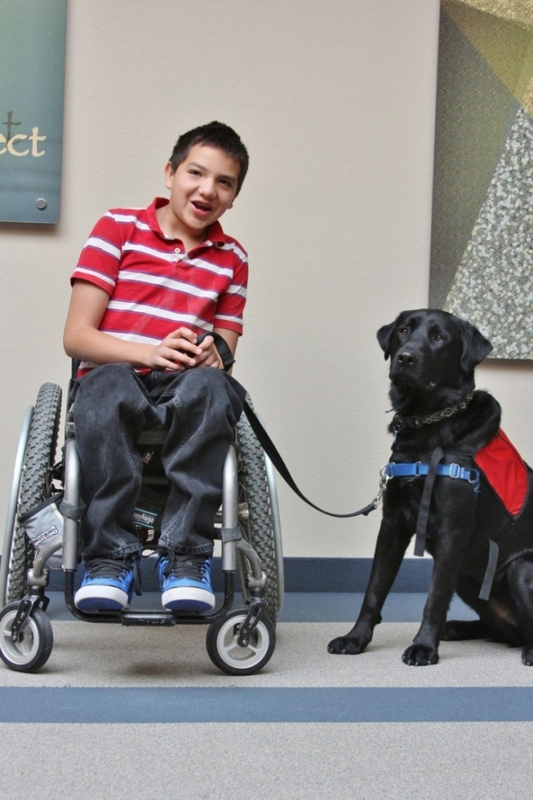 The team at FDS eventually convinced Joel to apply for a service dog of his own. Barrett is a golden retriever/lab mix who was abandoned at the Inner Mountain Humane Society. He was just 3 weeks away from being put to sleep when FSD rescued him in 2011. 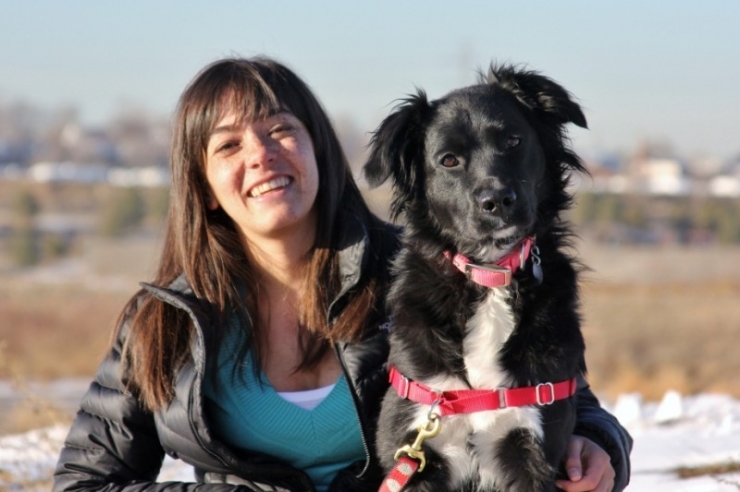 When pairing a dog with a client, Karen tells us, "The pairing, the match, it's phenomenal. We bring dogs to a client and the dog picks the person." On March 9, 2012, Barrett chose Joel. Their bond is very unique and special. Joel says friends and family have commented about how much more relaxed he is since receiving Barrett. The training of one service dog costs $25,000 and takes 7-12 months. Not all the dogs they rescue will graduate to become service dogs. However, FSD is committed to each dog they rescue no matter what. If a dog is unable to graduate the program, FSD works to find the dog a forever home. In 2013, FSD rescued 110 dogs. Out of that 110, 79 were later adopted to loving homes and 31 graduated to become service dogs. That adds up to a lot of expense, and with over 80 people currently on their waiting list, the costs are piling up. 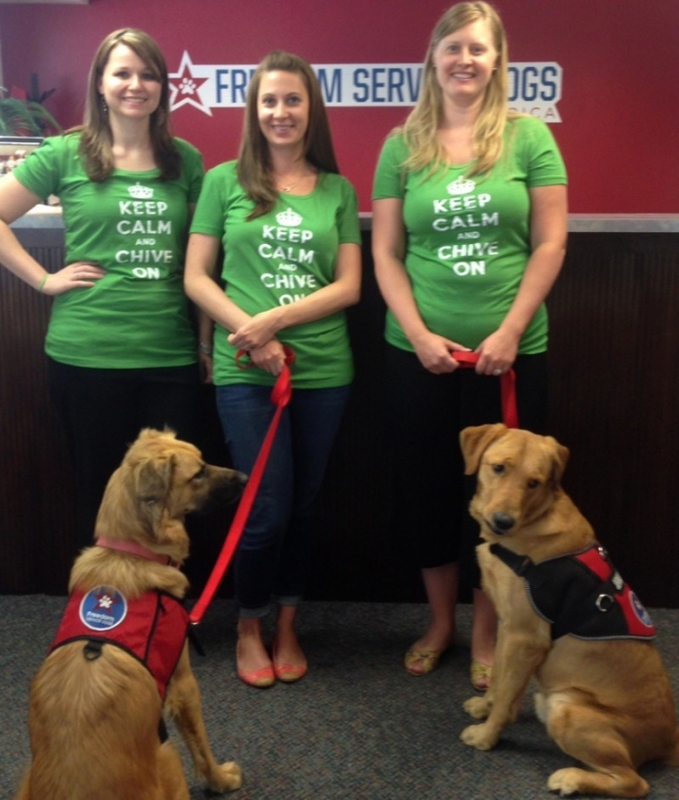 Today, we are proud to announce that Chive Charities is donating a $50,000 grant to Freedom Service Dogs! This will allow for the training of 2 rescue dogs to become service dogs! Returning veterans face a range of challenges, including depression, immobility, and PTSD. Operation Freedom is a program where FSD places veterans with highly trained service dogs to meet whatever their specific needs are. "For example, sometimes people with PTSD have issues with entering a house due to their experiences in war. We can train dogs to go into the house first and make sure the house is clear so the veteran feels safe," Karen explains. • Specialized tasks such as tug shoes/socks or coat off, pull client upright from a reclining position and more. 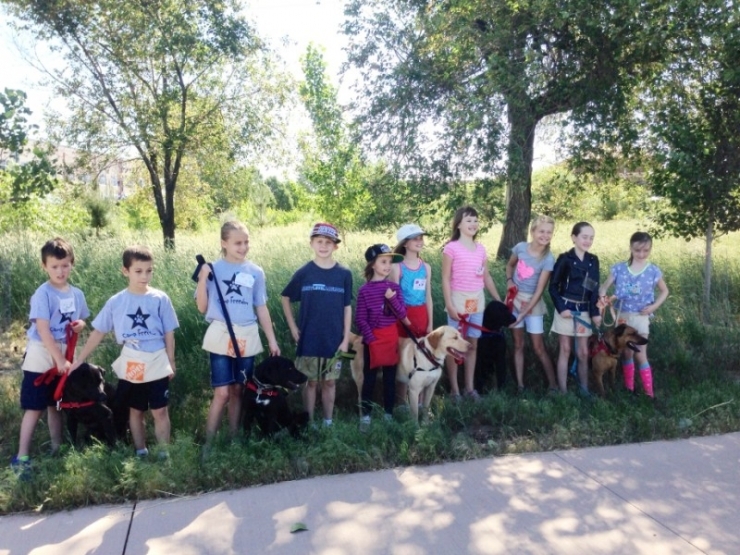 "Camp Freedom" is a program for children that offers a week of hands-on dog training skills, arts and crafts, games, and humane education. 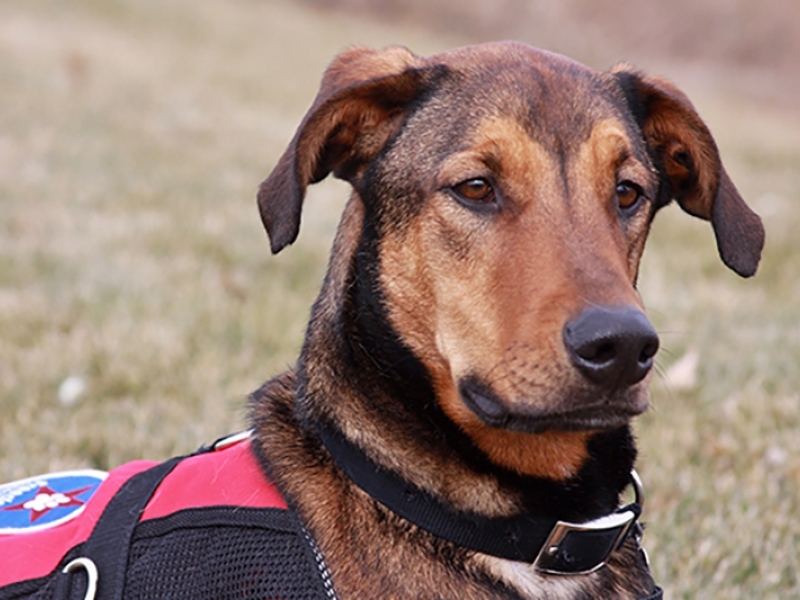 When a dog is unable to graduate as a service dog, it is usually due to attention-seeking behaviors, distraction in public, or minor health concerns. In those cases, the dog may be entered into the Professional Therapy Dog program. The Therapy Dogs are partnered into a variety of professional settings. This is Tango. He was rescued in 2009 and after 8 months of training, became a service dog. 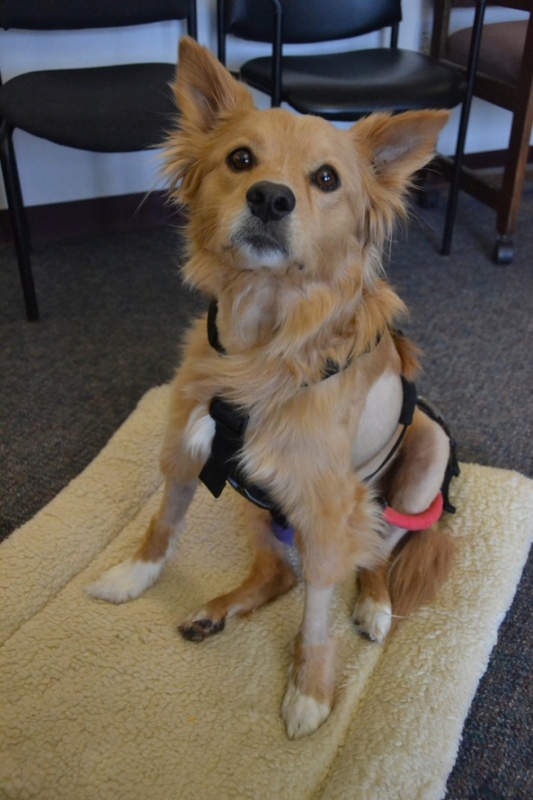 In March 2014, he was rescued again by FSD after a severe car accident. 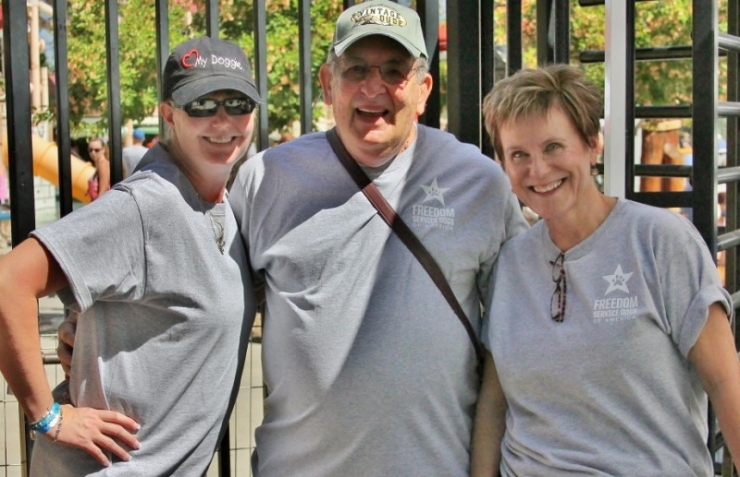 "FSD does not stop supporting dogs they have trained and placed," Karen explains. They will bear the costs for his rehabilitation and recovery. 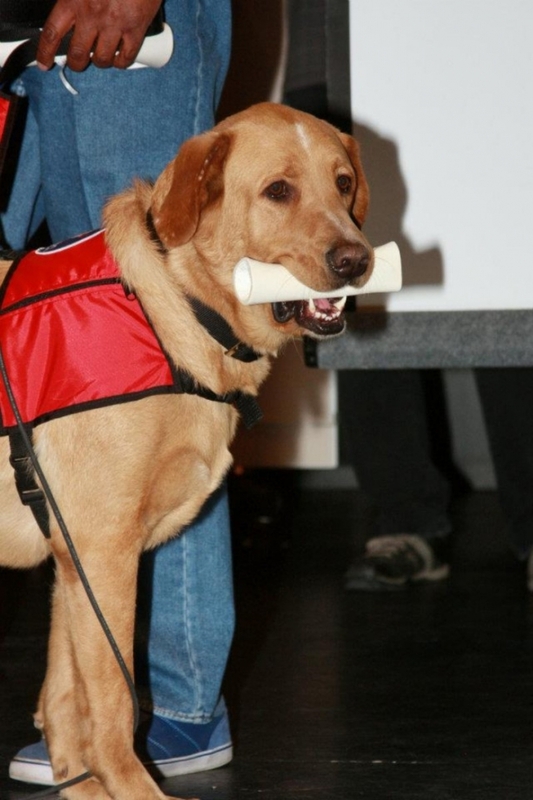 A graduation ceremony is held for dogs who graduate to become service dogs. This is Barrett after earning his diploma. Barrett's main job is as a brace and balance dog. Joel explains, "He's like a mobility cane. If I had a seizure or blackout, instead of falling and hitting my head, he will catch me. He will sense something's wrong, and he will nudge me to sit down." 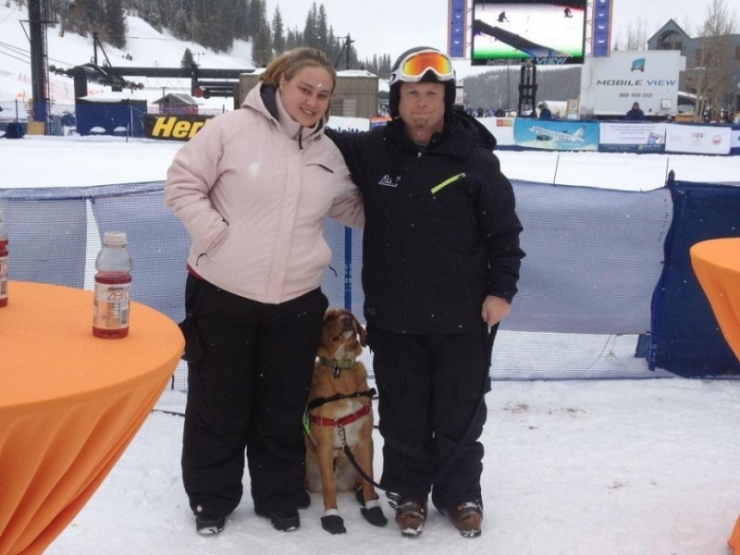 Joel is a paralympic skier and went to the Paralymics in Sochi! The best we can give anyone is a fair chance. 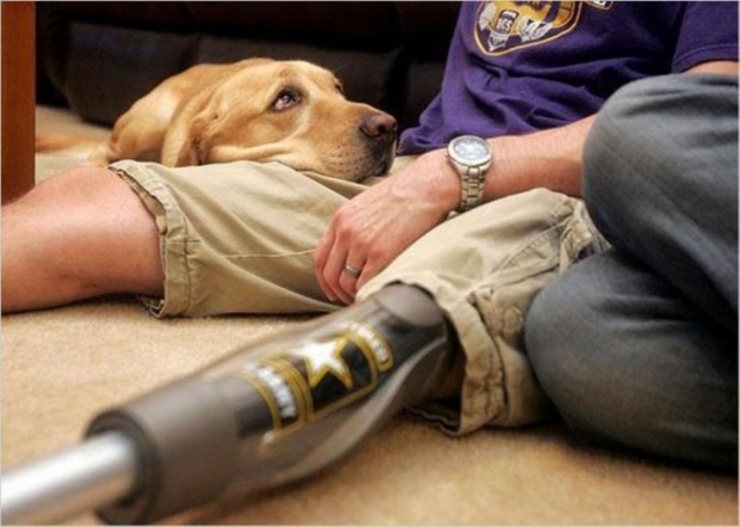 That is what Freedom Service Dogs offers to both the dogs they rescue and their clients who need help. The dogs they save from being put down are given a meaningful purpose to their lives. 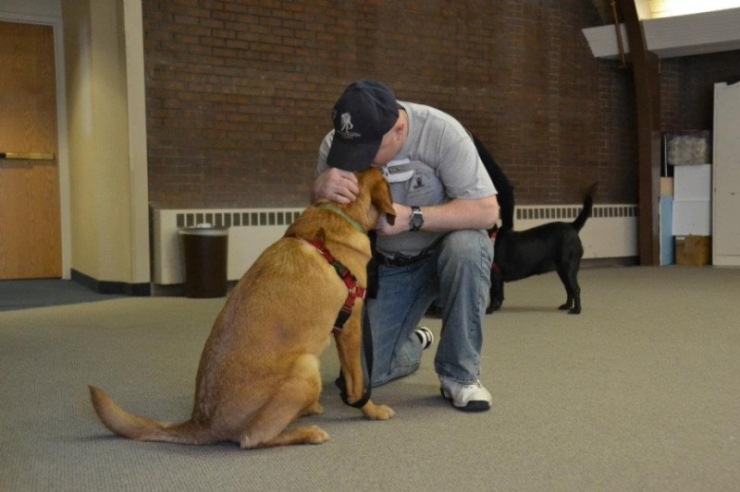 The people who are paired with the dogs that FSD trains are relieved of the burden of anxiety. They get back their independence. Thanks to your donations, the $50,000 grant from the Chive Fund will allow FSD to rescue and train 2 more dogs that will give 2 more deserving people the chance to reclaim their lives. Joel and Barrett have both seen their fair share of rough days. Joel may always carry the scars of warfare. He has seen horrors that few of us could ever understand. If it wasn't for Barrett's intuition and compassion, Joel would have tragically left us too soon. 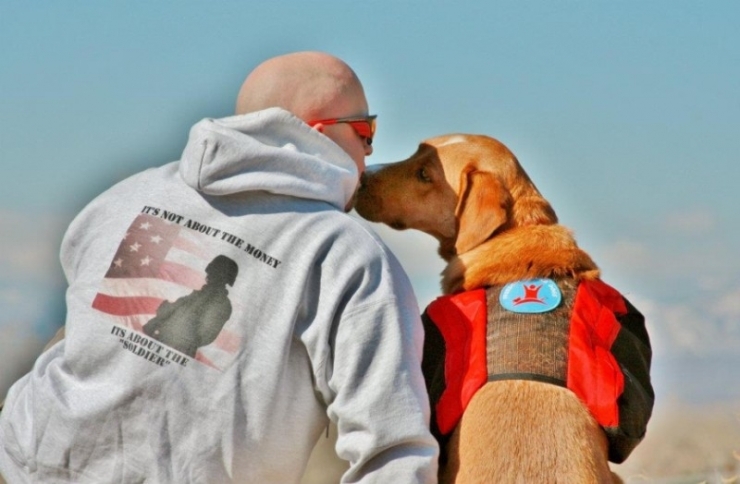 Thanks to Freedom Service Dogs, the two can now lean on each other through the dark times.